This class is based on the traditional 90 min bikram series, all 26 postures are included but in a more flowing 60 minute sequence. Note that this is not an ‘express’ class, but a 60 minute sequence that works you head to toe, body, mind and soul, and stands on its own! Get ready to work hard at a different pace allowing for concentration, meditation and the therapeutic benefits you expect from a great yoga class. There are no upcoming “Bikram Focus” classes on this day. 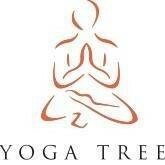 I LOVE Yoga Tree!!! My favourite yoga Studio for 10 years now, and I have been to hundreds. Thank you for always offering such a genuine and open practice. I always leave on a high. Great class felt amazinh after! Great teacher too! Not a very nice studio. Very small and cramped and smelt like smoke.